This website aims to tell the history of regatta yachttimer watches. To do this as complete as possible your help is needed. For your feedback or a contribution to the site please go to the Contact page. At the Baselworld Watch and Jewellery show 2015 in Basel, Swiss manufacturer Maurice Lacroix presented a new model in their Pontos series: the Pontos S Regatta . The dial has an aperture between 10 and 2 o’clock, were the countdown is shown in figures. See Maurice Lacroix in the Brandlist here. 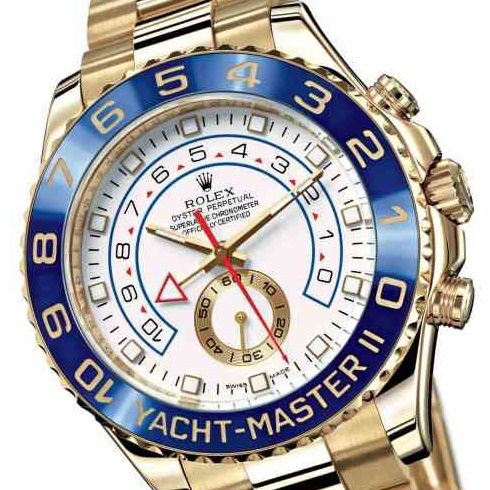 This website is dedicated to regatta-yachttimer watches. But what exactly is a regatta watch? A regatta is a series of boat races, especially for sailing or rowing but even for powerboats. The term regatta comes from the Venetian regata (contention for mastery) or regatare (compete). Unlike any other competition at a regatta audible and visual signs are given before the actual start, instead of at the starting time. At first this was a 5 minutes period, later on 10, 15, and even 3 or 6 minutes. This countdown enables the competing yachts to manoeuvre the boat as best as possible to the starting line and time of the race. Yachttimers, also referred to as regatta timers, yachting chronographs or sailing watches, are watches specially designed and made for the countdown to the start of a sailing race. They have a special feature to visualize the remaining time to the start, helping the helmsman to obtain the best position, reaching the starting line at full speed, just as the starting gun sounds! Over the years various mechanical (and quartz) regatta movements have been developed. These movements are described in the brand list, underneath you see the caliber timeline. 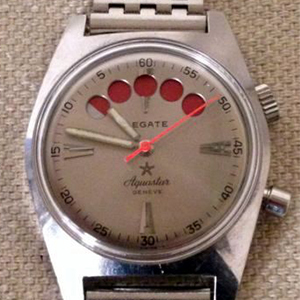 Mid 1960’s: introduction of the Aquastar Regate, with a Felsa 4000N movement. Shortley after used by Heuer as well. 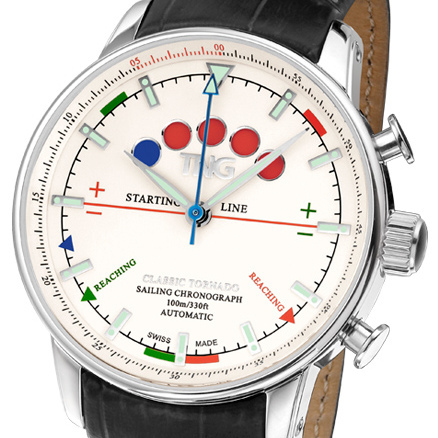 The first wristwatch movement using the 5-dot system for measuring the 5 minute regatta countdown! Beginning 1970’s: both Le Phare and Lorenz introduced their yachttimer, with a Valjoux 237 movement. 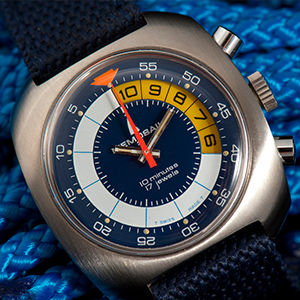 1970’s: introduction of the Memosail, with a Valjoux 7737 movement. In 2007 Habring uses this movement for their ChronoSport Nautic. 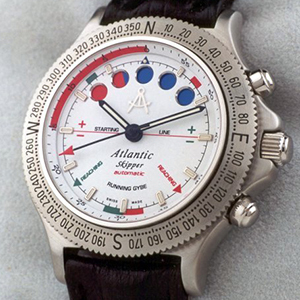 1970’s: introduction of the new Aquastar Regate, with a Lemania 1345 movement. Followed by Tissot, Omega and again Heuer and a little later by Lemania itself. Late 1970’s: introduction of a V.I.P Memosail, with a Valjoux 7767 movement. Mid 1980’s: the Valjoux 7757 movement appears in the Memosail Automatic, the Atlantic Skipper, the Wyler Vetta La Giraglia and the Eberhard Regatta. Sofar it’s not clear which came first, but probably the last one. 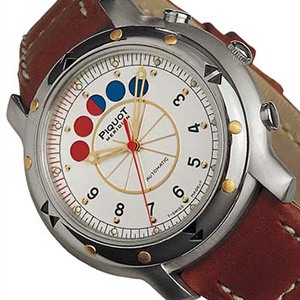 1997: introduction of the Piquot Meridien Volantis Regatta, with either an ETA 2892-A2 movement with a DD 2027 regatta module, or an ETA 2824 movement with a DD 2028 regatta module. These regatta modules are developed by Dubois-Dépraz in 1993. 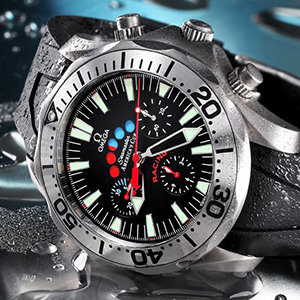 2003: introduction of the Omega Seamaster Diver America’s Cup Racing, with the Omega 3602 movement (ETA 2892-A2 with a DD 2027 regatta module). Same caliber used in the Bulgari Diagono Professional Chrono Amplificator. 2003: introduction of the Bulgari Diagono Professional Regatta, with an ETA 2892-A2 movement with a DD 42028 regatta module. 2004: introduction of the Louis Vuitton Tambour LV Cup Régate automatique, with an ETA 2892-A2 movement with a DD 2140 regatta module. 2005: introduction of the Audemars Piguet Roal Oak Offshore Alinghi Polaris Chronograph, with an AP 2326/2847 fly-back movement (Jaeger LeCoultre 899 with a DD 2847 regatta module). 2007: introduction of the Rolex Oyster Perpetual Yacht-Master II Regatta Chronograph, with the Rolex caliber 4160 movement. 2007: introduction of the Audemars Piquet Roal Oak Offshore Alinghi Team Chronographe, with an AP 2326/2848 fly-back movement (Jaeger LeCoultre 899 with a DD 2848 regatta module). 2007: introduction of the Girard-Perregaux Laureato Regatta Tourbillon chronograph, with the GPV02 fly-back movement. 2011: introduction of the Alpina Extreme 40 Sailing Chronograph. with an Alpina AL-880 movement. 2013: introduction of the Corum Admiral’s Cup AC-One 45 Regatta, with a Corum CO 040 movement. 2013: introduction of the Panerai Regatta 3 Days Chrono Flyback Automatic Titanio, with a Panerai P.9100/R movement. 2013: introduction of the TAG-Heuer Aquaracer 500m Calibre 72 countdown chronograph, with a TAG Heuer caliber 72 movement. 2015: introduction of the Maurice Lacroix Pontos S Regatta, with a Sellita based movement with a DD2018 regatta module. 2015: introduction of the TNG Classic Tornado, with a Valjoux 7750 based TNG-7750H movement. 2016: introduction of the Bremont Regatta AC and Otusa, with a Valjoux 7750 based Bremont BE-17AE movement. 2017: introduction of the Ulysse Nardin Marine Regatta, with a Ulysse Nardin UN-155 movement. 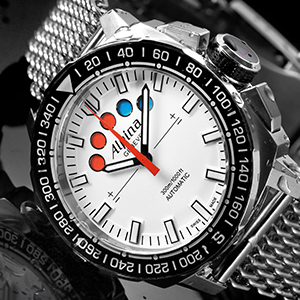 The first mechanical Yachttimer movement that runs anti-clockwise during the regatta countdown!